Having expanded significantly over the last decade, mutual insurance company Itas found it had outgrown its existing cash management structures – with the sheer volume of incoming payments proving difficult to reconcile and costly to run through agency networks. Alessandro Molinari, Vice General Manager of Itas, explains how the firm worked with UniCredit on an innovative virtual accounts solution to rationalise its treasury processes. In February 2018, Gruppo ITAS Assicurazioni (Itas), a leading mutual insurance company in Italy, became one of the first insurance companies in Europe to initiate a virtual account structure for its incoming payments – setting a benchmark in terms of cash management modernisation in the industry. In the face of rapid growth, we found that our treasury department was having to deal with increasingly high volumes of incoming payments, often arriving in large batches – requiring a new, more scalable and more efficient process for managing inflows. To meet the challenge, we contacted UniCredit, whose virtual accounts solution promises to drastically simplify the reconciliation process, allowing policyholders to pay insurance premiums directly into the company’s accounts while still working with our agencies. In the process, we not only expect to solve the problem of reconciling high volumes of payments, but also to simplify our accounting structures and reduce the workload for our agencies. The project is set to provide a simpler experience for customers and stand as one of the most innovative offers the insurance world has seen in many years. The root of the problem for us was the speed at which we expanded. We began exploring the possibility of broadening our service offering in 2014, and, within a year, we had expanded our business across Europe, and further strengthened our position within Italy. Since then, we have continued to grow. This expansion did not overwhelm our treasury department – but it did pose challenges. Moving money efficiently and securely is the heartbeat of a financial institution, and as the volume and geographic scope of incoming payments increases, so too does the complexity of internal processes necessary for managing and reconciling them. In the majority of insurance companies, most payments are processed through agency networks, driving up the costs for the agencies themselves, creating a layer of credit risk and trapping liquidity that could be used elsewhere. The agencies we work with release payments to the company every 15 days, so often account managers pursue apparently unsolved accounts only to find out that they have already been resolved: a frustrating loss of energy and time for both the company and policyholders. Despite the scale and complexity of the challenge, the UniCredit solution was surprisingly simple. At its core was the creation of 1 million virtual IBANs – each channelling funds into a single physical “master” account at Itas. By assigning each of these virtual IBANs to a different contractor, the solution ensures that all incoming payments are channelled into a single account and can be immediately linked to the payer. It was a revelation – a way of banking that I had not even realised was possible. The reconciliation process will soon be dramatically simplified and we will be able to receive many payments directly, where bilaterally agreed with our agents. The virtual IBAN, with its standardised account number, effectively creates a virtual credit account for each policyholder. And since the virtual account solution is fully integrated into our Enterprise Resource Planning (ERP) infrastructure, we can seamlessly link the payments process to our online portal, so customers can renew their policies online and make direct payments to their unique virtual IBAN, which are quickly and directly credited to our physical master account. For us, this constituted an innovative and robust proposal – and one that no other bank could offer us. Since the solution was designed around Itas’ existing ERP system, implementation has so far been swift and effective. But there were challenges. For instance, the programme needed to be tailored to accommodate individuals holding multiple policies. In this case, a single unique virtual IBAN would not be enough to identify which payment belongs to which policy. This had the potential to create fresh reconciliation issues, but UniCredit supported us closely and, working together, we were able to stabilise and register these payments – demonstrating the strength of our working partnership. Of the 1 million IBANs promised under the virtual account contract, 100,000 will soon be distributed to policyholders. Since the start of the test, we have benefited from simplified account structures, automated and reliable reconciliation of payments and more frequent payments received, eliminating intermediate credit risk and optimising liquidity. This will have a positive impact on the satisfaction of our insured members and our agents, who will see the reduction of administrative costs, cementing the initiative as a triumph of innovative operational reform. Likewise, it has saved time and money for both us and our agency networks, making Itas a very attractive partner for agencies and positioning us for further growth. Above all, it has freed up time and resources for Itas to continue to improve and expand – a success for both us and our customers. Throughout the virtual account project – from conception through to implementation – we have built and developed a strong partnership with UniCredit. Its team has shown the ability to provide innovative solutions to the growing pains we face and our combined efforts have paved the way for us to offer our services to ever more people across Italy and Europe. We think this solution lays down a marker for innovative cash management in the insurance world and we look forward to an exciting future – one in which we are primed and ready to grow. “As a mutual insurance company, Itas naturally puts its customers first – a value that we at UniCredit share. With this in mind, the innovative virtual IBANs we have created make transactions and account management more efficient not just for Itas, but also for its policyholders and its agency partners. This project represents a significant step forward for the insurance world. It is equally innovative in terms of the service offered to both Itas and its customers, as well as the mentality we are looking to spread to the rest of the sector. It marks a shift from cumbersome manual processing to a global electronic cash management solution, tailor-made to the client’s needs. 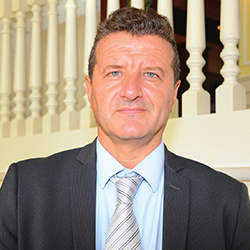 Alessandro has worked at ITAS Mutua since 1992. Alessandro majored in Economics and Business at the University of Trento, lecturing at the institution in Insurance Finance and Budgets since 2010, and has been a professor there since 2013. 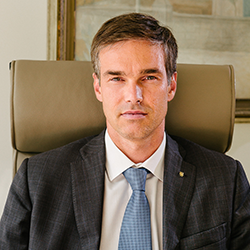 Alessandro is also Head of the Supervisory Board of the Fondo Unico Nazionale LTC, as well as Head of the Gruppo ITAS employees’ pension fund. In this role since March 2008, Massimiliano is responsible for a selected portfolio of multinational clients. Massimiliano was previously Head of Implementation Cash Management Customer Project Italy at UniCredit, responsible for setting up a new service for cash management projects and customer support in Italy. Prior to joining UniCredit in 2006, Massimiliano spent six years in senior managerial positions with Deutsche Bank in Italy and Germany.